Here is the thing about horseracing and me. There is no great passion on my behalf. 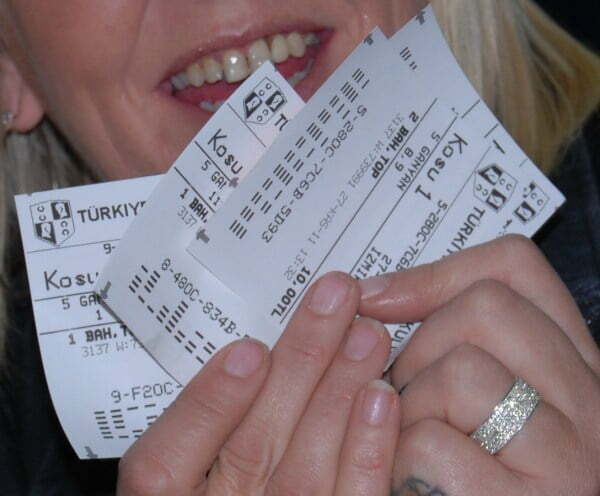 I do not bet, follow jockeys, go to the tracks and I have never ridden a horse either. 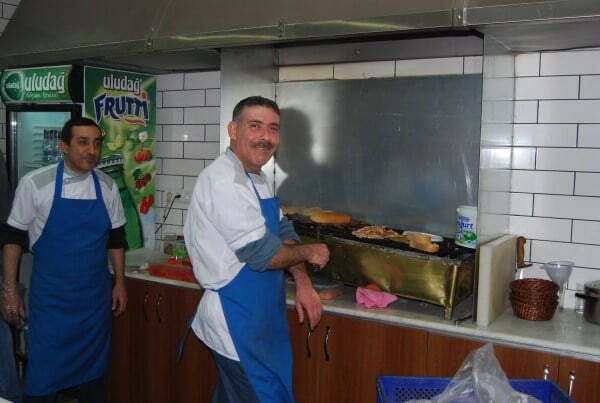 However, I like to keep an open mind in Turkey and experience everything at least once. Therefore, when a group trip was arranged to visit the Izmir horse track, I decided to tag along with a group of friends. Before I tell the story, you need to know about this group of friends. I am not sure that they would be happy for me to mention their names so for the sake of this article, we shall call them “The Gang”. The gang which obviously includes me, enjoy exploring, especially the places that are not your average tourist destination. Wherever we go, we try our best to blend in with the locals but for some unknown reason, it never happens. The last such scenario was the camel-wrestling event, of which I ended up playing in the village band. People were more interested in us, than they were watching the camels. The gang, consisting of males and females, often end up becoming the centre of attention. There could be a number of reasons for this. 1 : We are the only foreigners present at that event, and end up becoming the object of curiosity. 3 : We spend copious amounts of money on alcohol so vendors love us and give us VIP status. 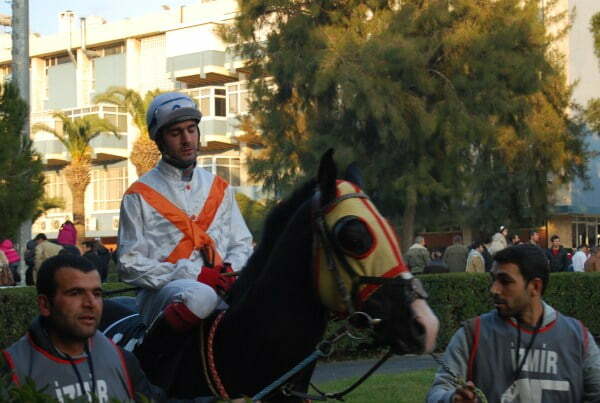 Izmir horse racing was a combination of all of the above and despite all attempts to blend in; it went wrong from the start. Having arrived at the horse track too early, we decided to head somewhere for refreshments. The café we found was full of men, studying the up and coming races but we were interesting enough for everyone to stop and stare at us, when we walked in the door. I argued that we were the centre of attention because my friend is a pure blonde-haired person and it was admiration from potential suitors. Everyone else argued that it was because we had ordered a full table of beer at 11am in the morning. You see, the locals were drinking tea and for a vendor to make a sizeable profit, he has to sell quite a few, hence the VIP treatment that we often receive when a full table orders many rounds of alcohol. Throughout the day, we became used to the stares and random conversations of where we were from. Even if we had tried hard to blend in, it was just not going to happen. 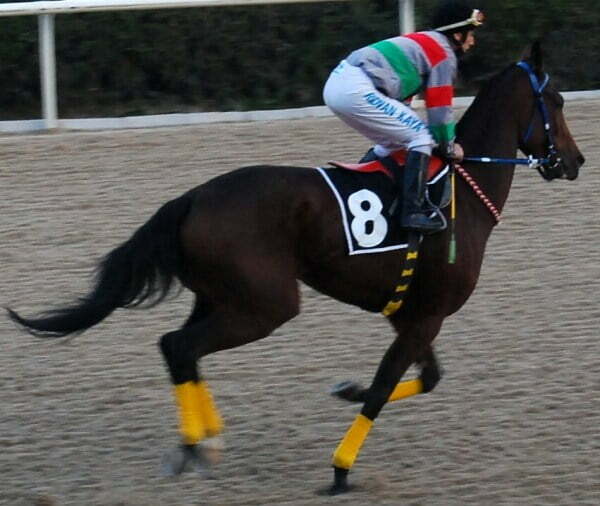 So, I would love to tell you that I am now an expert when it comes to Izmir horse track, but I am not. I never knew how to place a bet in the UK so trying to place a bet in another language just proved too much for me. I handed money over to my friend and she did everything for me. I can say though that we did not win anything. Due to a lack of excitement on my behalf as to who actually won the race, I spent most of the day just sticking my camera in every possible direction. 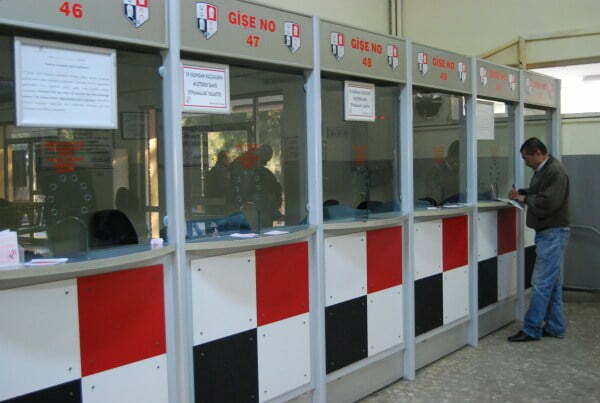 When entering the track, you are searched for security reasons. The guards looked at my camera and told me to head to the Media office for a pass. After wondering around and eventually finding the media office, I was told that I did not need one, so I cannot tell you the policy on photos either! All I can tell you about is the general routine of the day. Look at the horses while they are paraded in the paddock and pretend that you know what is considered “good form”. Go and place your bet by widely taking a stab in the dark as to who the winner will be, watch the race and then repeat the process all over again, until the last race has taken place or you have run out of money. Re women – besides the women in the gang, there were others at the track but we were definitely in the minority. Add that to the fact that we were foreigners and we also keeping the café vendor very happy with our purchases of alcohol. Well, that is your lesson on how NOT to blend in with the locals! On our next trip out, the gang will once again try to blend in with the locals but I get the feeling that we will never quite succeed. Readers Question : Are you a fan of the horse races or do you find the whole industry quite bizarre? Do you agree? This jocky looks like he was sleeping! Nice Post!! 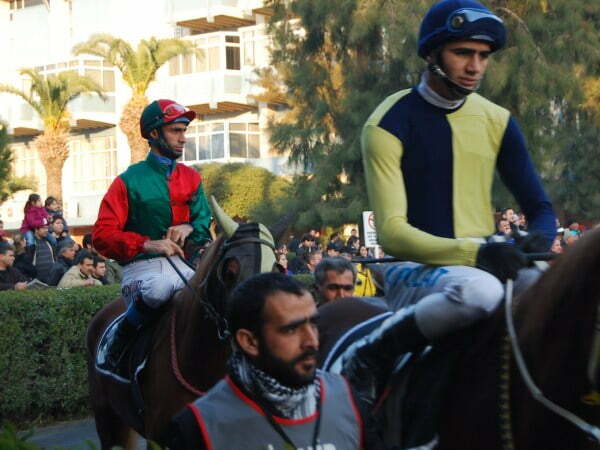 I spent some days in turkey and I enjoyed horse racing during these days. I think their atmosphere sounds very cool during the whole day. I must say that there are many places in turkey which are very famous in the whole world, but I think specially famous its horse racing. Definitely, I will travel in turkey again. I can see how this place could make me uuncomfortably, but it is all part of the traveling experience. I soul definitely go? Good point Ali – I don’t know why we even try because it is never going to happen! As much as I like to see places that aren’t exactly touristy, I never even try to blend in. I know I just won’t. I look like the typical American mutt. Yes, someone else has just told me that Greg – apparently it is about knowing the horses history, the wins and loses etc. Too much for me. I think I will stick to taking photographs. I tryed once years ago.You really need to know more of the horse and trainer.Its history or form,other wise you are betting blind. I guess that normally happens when foreigners are in a certain place. But admit it, you sometimes like the glares and astonished stares of the people on you, because I do. Ha ha! I am not familiar with horse races and I don’t think I would ever be. I just like the site of horses. More travel stories! We got a lot of stares Steve but no calling out. Buenos Aires sounds good but don\t think I will be visiting the races every again! Awesome and maybe a very unique experience if you are a foreigner! It’s a similar story constantly as foreigners here in rural China. We’re often the centre of attention and the staring (and calling out) is endless. The most enjoyable place I’ve watched horseracing was in Buenos Aires, such a relaxed atmosphere the whole day. 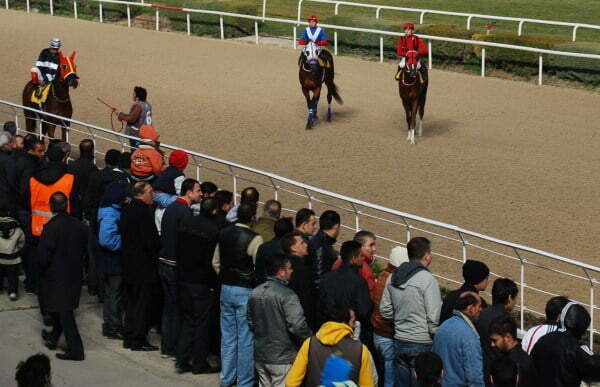 Horse Racing in Turkey sounds awesome! Great post! I totally forgot that I was taking the mick out of S and I for having to pay more because they were men! Yes, the blond haired one does get a lot of attention. She was the one who ended up with the bottle of Raki as well! Hi Christy, you don’t want to meet the rest of the gang, your life will change forever if you do! now then would you go again ????? 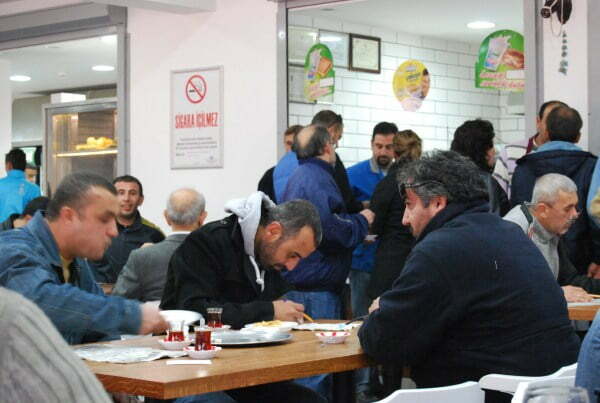 I had a similar experience in Çanukkale while traveling with a blond friend of mine. I give you big props for sticking it out and staying all afternoon. I so don’t understand horse racing, but my grandfather LOVES it. But drinking rounds of beer at 11am before a horse race? I want to meet your gang of friends! It must have looked like you’d been beamed down from another planet. I come from a family of long term horse racing fans. Days out at the Derby were an annual treat. Even now, my 82 year mother has a flutter each week – 50 pence each way. Sometimes she wins. Only been once in my life and this was with a retired bookie. We had a flutter on every race and won nothing – he said that that was the way it was supposed to work! Why not just open your wallet and invite the bookies to help themselves, that way we can all go home early or prop up the bar if there’s any dosh left! We’re huge horse racing fans and always went in the UK. We went a few years ago in Istanbul and I can tell you that apart from one Turkish girl, me and Barry’s mum were the only females at the track and ALL of us were the centre of attention. 🙂 Hope you enjoyed it. I don’t think I can ever blend in when I am with them lot Kerry. They corrupt me!! 😉 Enjoy it when you do end up going. This made me laugh I can just imagine the looks you got. 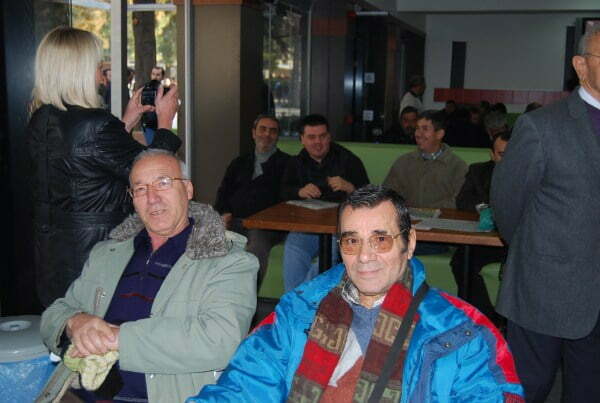 I was looking forward to your article about Izmir Races way back when you mentioned going. I am on a promise from the hubby to take me and glad there are a few women there! Sounds like you all had a fab time and I bet if you had blended in you wouldn’t have had such a fab time and great article!